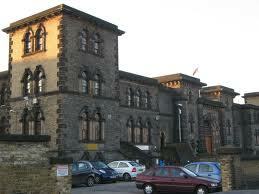 In the gloomy depths of Wandsworth jail, I met a remarkable British visionary. 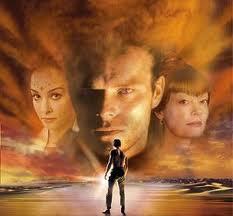 Anthony John Hill has named himself ‘Muad’Dib’ after the teacher-figure in Frank Herbert’s sci-fi classic Dune. He is the author of what is by far the most influential of 7/7 videos, The Ripple Effect. It was wonderful to meet him, and a rare pleasure to have a chat with someone so deeply versed in the whole 7/7 issue. I brought him some mince pies, but wasn’t allowed to give them to him. But, I was allowed to give him a book, and gave him The Cabbala of Power by Israel Shamir. That would keep him busy, I figured, through the long, lonely hours. He’d been there about a week, after losing his case against extradition in Dublin’s supreme court. His defence had accused the British crown of being corrupt and wicked! One has to agree with Richard D. Hall that that the Crown’s case against Muad’Dib is ‘the most preposterous case you have ever heard in your entire life.’ But, Mr Hill wasn’t depressed, he assured me. He had a cheerful countenance, marvellously serene in fact, with his long, white beard. I could not recall having seen such a long, white beard that was for real. He asked me, had anything on the Inquest gone against his Ripple Effect story? I opined that, possibly the testimony of the Woodall service station forecourt-manager, that at 5 am on July 7th he had seen only one other person in the car when Tanweer was buying petrol, could indicate that Khan was not with them. (In addition, tho I didn’t say this, one would have to regard several witness testimonies as false or mistaken). Was he short of books to read? He had two, he explained, the Bible and the Koran. During the week he was in jail, Muslims had gathered around him when they were allowed out of their cells each day, to listen to him talking to them about the Ripple Effect. He was then moved to a different cell, which he shares with one Muslim. He has conversations with this inmate, he told me, where he discourses on how the Koran and Bible are compatible, how they relate together. I came away with a feeling that I had witnessed some kind of Old Testament parable, of The Just Man in Captivity. I have been much abused and vilified in public, from pursuing the topic of 7/7 truth – through which Muad’Dib supported me – but, at least I haven’t gone to jail. He is worried he may lose his home in Dublin which he keeps by means of housing benefit. He should soon be out on bail. But, there will come a court case he will have to attend. The specific charge in his EU Arrest Warrant was, an act intended or tending to pervert the course of justice. To pervert course of justice means something like suborning jurors or bribing judges, not sending amicus curae material, i.e. helpfully relevant information for the Court to peruse. If he gets a jury trial, the case should be laughed out of court. Or, if he gets a judge – it could mean life. To obtain permission for this visit, I had to know his date of birth, which a friend of M.D. gave me. Several weeks ago, the Supreme Court of Ireland proved to everyone just how corrupt they are when they extradited A.J. Hill, also known to supporters as “Muad’Dib”, for mailing DVDs of his Film, the “7/7 Ripple Effect” to a U.K. courthouse….NOT ONE SINGLE JUDGE IN IRELAND VIEWED THE DVD BEFORE CONCLUDING THAT A.J. HILL’S INTENTIONS WARRANTED EXTRADITION. How could a court determine his Intentions without ever viewing the DVD? 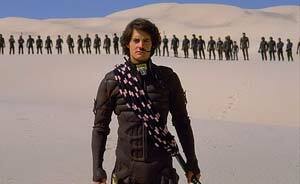 Wake-up Fremen/Free-men. 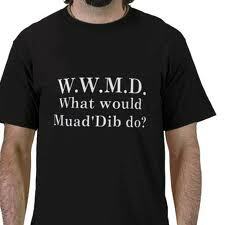 It is time to follow Muad’Dib’s Example and fight for what is right in God’s Eyes. If you won’t stand up for someone else now, who will be left to stand up for you when they come to imprison YOU for telling the truth? On 16th December, Anthony John Hill goes on trial for bail. The same day, maybe the same time, Wikileaks editor Julian Assange goes for bail trial at Westminster Magistrate Court. They have both been imprisoned at the same place, namely Wandsworth jail.